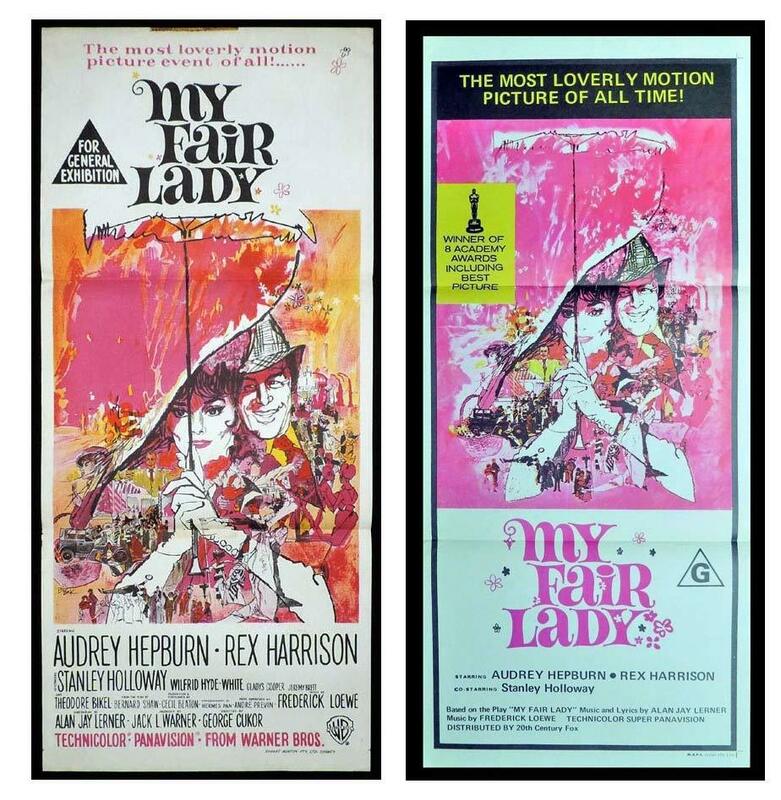 News | Moviemem Original Movie Posters - MY FAIR LADY Daybill Movie Poster Original or Reissue? When you see these two My Fair Lady daybills together it is fairly obvious that one is original and the other a re release. The original daybill has the "For General Exhibition" censor logo and was printed by Robert Burton. The reissue daybill has the "G" censor rating which means that the poster was printed after 1971. Inexperienced collectors are often misled when they see the reissue daybill. When it comes up for sale it is usually described as original with no mention that it is for the re release. If the buyer ever finds out that they have been misled it is usually too late to do anything about it because ebay deletes auction details after a few months. Although both daybills feature the classic Bob Peak artwork, the original would be valued a lot higher than the reissue.